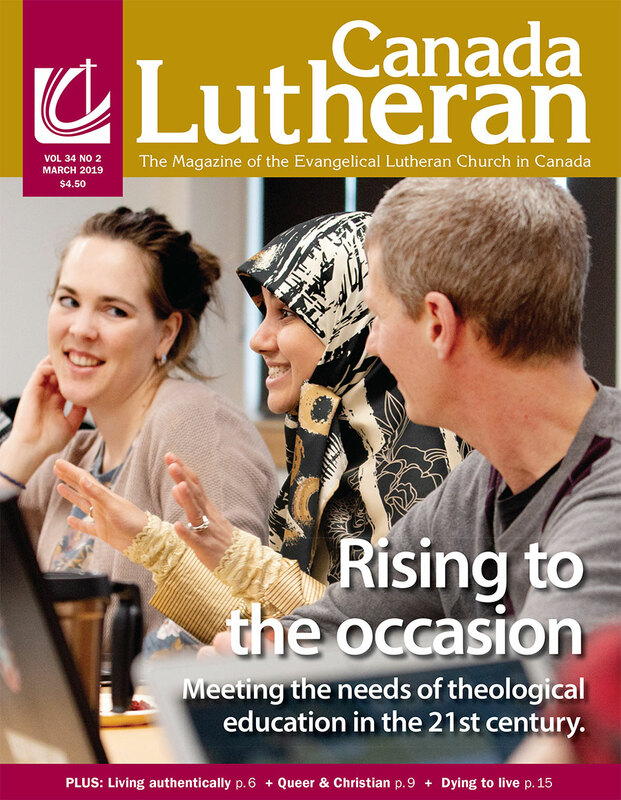 As they prepared to vacate Waterloo Lutheran Seminary to make way for a historic reconstruction project, faculty and staff joked about an upcoming time of wandering in the desert. But while there hasn’t been much wandering (they quickly settled into temporary offices about 200 metres away) operating the school has been…an education. The biggest surprise? “Isolation,” says, Rev. Dr. Mark Harris, the seminary’s principal-dean. Faculty and staff simply don’t see students—or each other—the way they did when they were together in one building. 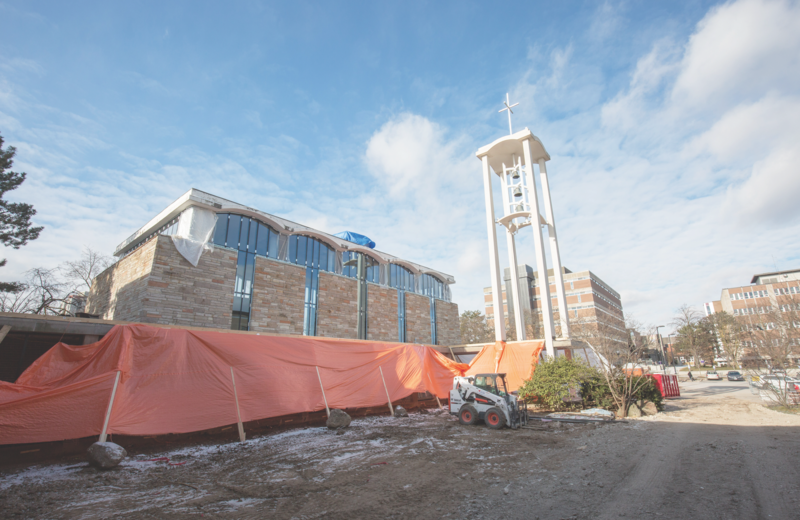 Faculty and staff moved out of the seminary, at the corner of Albert Street and Bricker Avenue in Waterloo, Ont., at the end of April to make way for the construction phase of a $9-million renewal and modernization project. 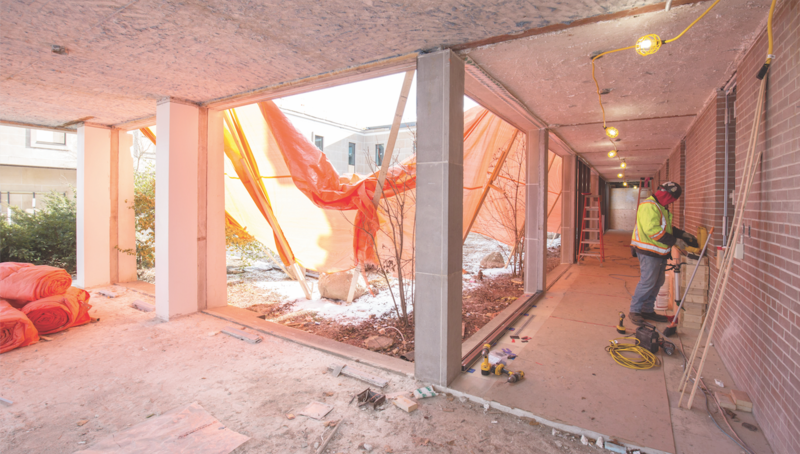 The major overhaul of the 54-year-old building includes adding classroom space; new gathering areas for students; new offices for faculty and staff; and energy efficient systems. Construction is to be completed in May 2018, Harris says, and everyone is scheduled to return by the end of June. In the meantime, they are working from temporary offices at 190 Lester Street. When trust is built, it’s easier for a student who’s having difficulties to approach a professor. And if a faculty member suspects that a student is having a tough time, some encouragement or advice can help prevent difficulties from getting worse. “If you don’t see students, you can’t do that,” Jorgenson says. The seminary has long billed itself as a Lutheran host to a multi-path community. So operating the seminary this year is hitting the school at its core, says Dorinda Kruger Allen, executive assistant to Harris. “We’re not able to offer our preferred level of hospitality,” she says. For example, when professors invite guests to speak to their classes, Kruger Allen says she can’t offer them a parking pass. “They’re on their own,” she laments. As the events co-ordinator for the school, which stages more than 50 public events each year, Kruger Allen says finding venues has been challenging. Weekly practices for the 130+ voice Inshallah choir, which usually take place in Keffer Chapel, are being held in nearby St. Michael’s Roman Catholic Church. Other events such as public lectures, leadership breakfasts, and one of the classes are being held at Mount Zion, Waterloo. In many cases, holding events and classes off-site comes at a financial cost.